Influential theologian and church musician Richard Gölz (1887-1975) re-introduced music into the pulpit-centered German Protestant Church. His famous Chorgesangbuch (1934) is a pioneering scholarly edition of 16th-century music, that reached every protestant church choir in Southern Germany and beyond. He sheltered Jews during the Nazi years and for this, he is remembered in Yad Vashem. 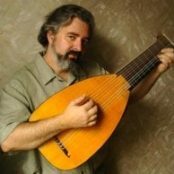 Russian-American lutenist and early music expert Oleg Timofeyev comes to Ukraine to teach early music performance for a year. He soon finds out that ‘early music’ means something entirely different there than in the West: the rediscovery of the Ukrainian epic tradition, folk songs, vocal liturgy and unique instruments that are not played anywhere else. An experimental non-fiction music documentary shot during the recording sessions of SARMATICA’s album THE LVIV LUTE. The music is a crossover between 16th century lute music and Ukrainian folk styles. FRAUTSCHI is an intimate portrait of one of the most influential (and least known) guitar pedagogues in Russia: Kamill Frautschi (1921-1997). The Frautschis were Swiss émigrés in Russia who fell victims to Stalinist purges in 1937. ArbatFilm is a production company founded in 2008 by Oleg Timofeyev and Sabine I. Gölz. We specialize in ambitious documentaries with a serious intellectual and historical dimension. Our films to date have mainly explored exceptional musical personalities and traditions, but projects on other topics are in development. ArbatFilm’s signature style strictly avoids the explanatory narrative voice-over that so dominates the bulk of documentary filmmaking. Instead, we build our films as rich collages of interviews, music, and images. Our work is also strongly international, with films on Russian, Ukrainian, German, and Swiss stories respectively. 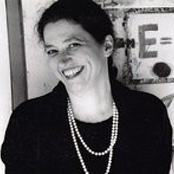 Sabine I. Gölz is producer, director, and video-editor of ArbatFilm’s documentaries, and also the main camera operator of ArbatFilm’s earlier films. Her photographs have been exhibited internationally, and she has published extensively on European Literature. She is Associate Professor of Comparative Literature at The University of Iowa. Christopher Renaud (University of Iowa MFA in Film & Video Production 2012) has 16 short films to his credit, some of them award-winning. 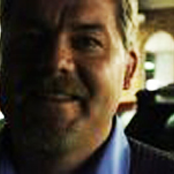 He has worked on a great many more as cinematographer, lighting designer, sound recordist, and sound mixer. He is Associate Professor at University of the West Georgia, where he teaches Film and Video Production. Dmitry is a cinematographer and Film Director, studied at the Academy for Radio and Television in Moscow in 2002. 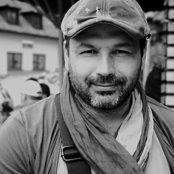 He has produced over 20 documentary and experimental films, broadcast on a number of Russian TV channels. A moving documentary film about the eventful life of an important figure in the history of church music. Time, faith, and singing captured and developed so intensively—more than impressive! This portrait will still be watched in 20 years, I am certain of that. More than an homage to an important ancestor: a successful examination of an utterly terrible time, an examination that has struck and affected me deeply. Re-watching it only one more time will not be enough. Das Filmporträt über Richard Gölz ist eine bewegende Aufforderung, sich ein so eindrucksvolles wie bestürzendes Leben noch einmal zu vergegenwärtigen. Frautschi the person (and the film) gets to the core of what matters in all of art, not just in music. The interweaving of interviews, the performances, and Frautschi’s own words all work to create a web of emotional understanding that elegantly prepare the viewer to finally receive his 10 types of memories. This will be an inspiration not only for musicians but for all artists. ArbatFilm offers complete Film Scoring services. The Timofeyev Group, directed by internationally renowned composers and recording artists Natalia Timofeyeva and Oleg Timofeyev, will develop, compose, and record an original score for your film. Among the films for which they have supplied original film music are: THE PHOTOGRAPHER (2008), SLUZHENIE (2009), and NASH DOM (2010). Copyright © 2016 ArbatFilm. All rights reserved.